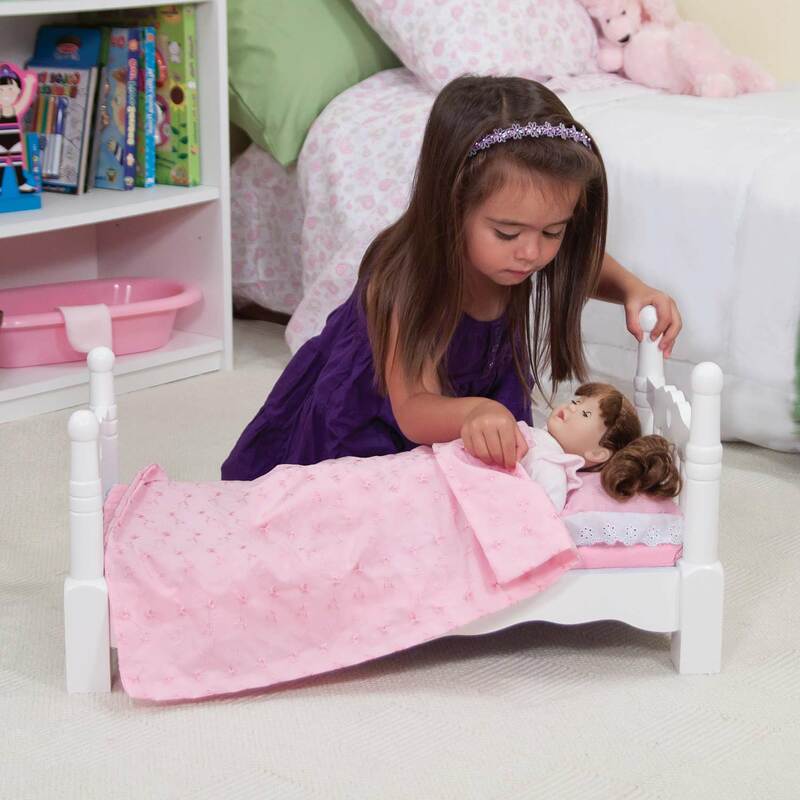 This sturdy, heirloom-quality 4-poster bed is sure to bring sweet dreams to dolls! 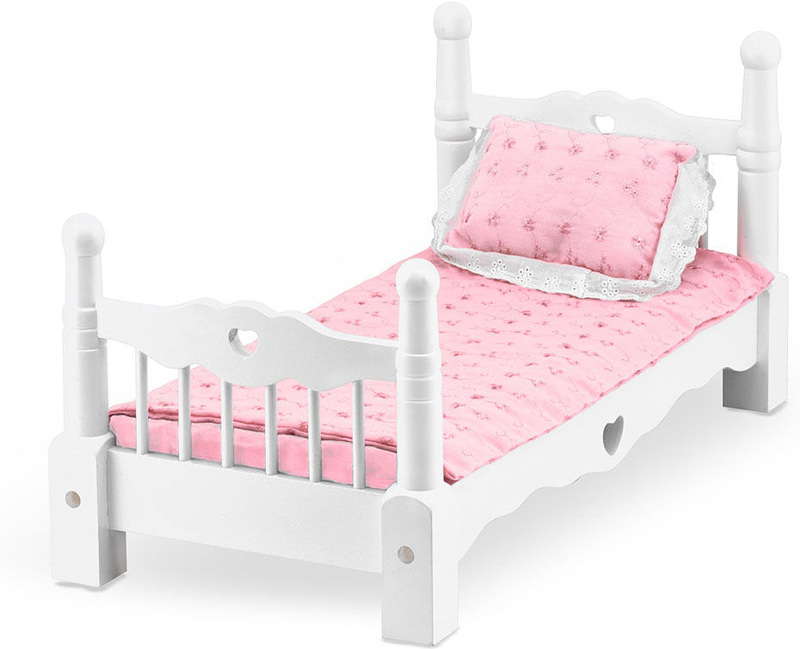 Suitable for any decor, the white wooden bed features decorative details like heart cutouts, turned bedposts, an embroidered blanket, a lace-trimmed pillow, and more. 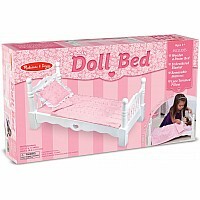 Accommodates dolls up to 20" tall. Recommended for ages : 3 to 8. Measures approximately: 26.40 x 14.60 x 5.90 inches..
USPS $0.00 Zip code required. UPS $0.00 Zip code required. 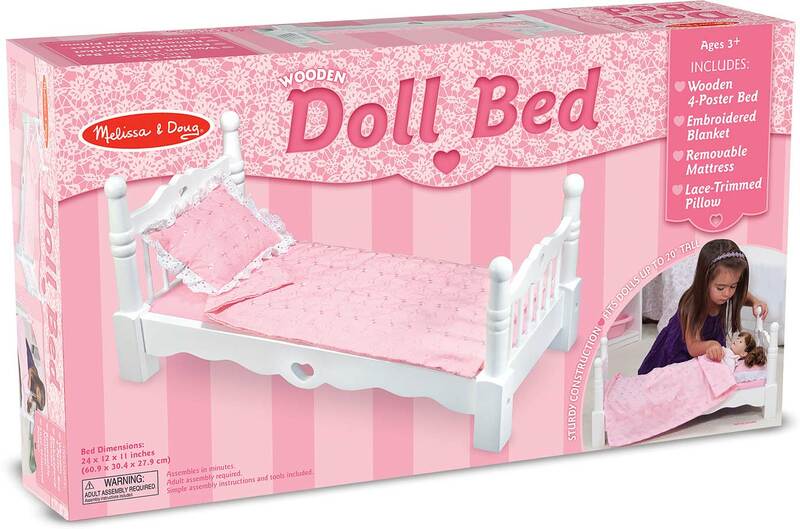 © 2019 Specialty Toys Network, © 2019 The Children's Book and Toy Garden or its affiliates. All Rights Reserved.